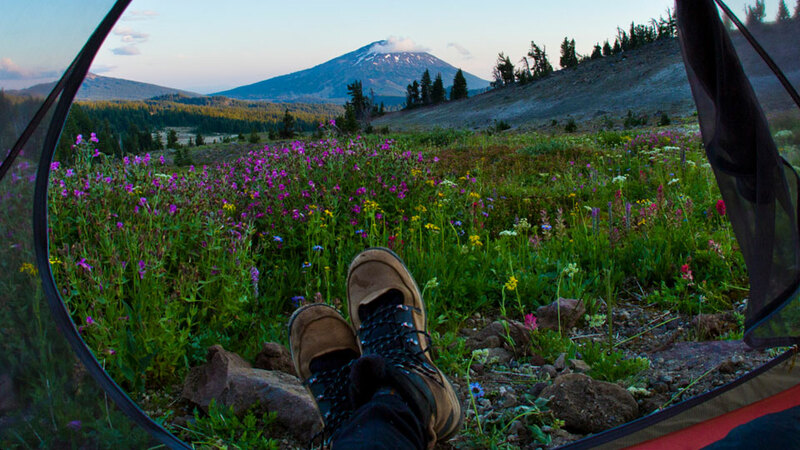 At the confluence of Candle Creek and the Metolius River, this campground offers opportunities for fishing and hiking. This is a very popular campground with the locals because of its location, the last campground you come to sitting in a stand of mature Ponderosa pines. It is at the end of the Metolius Valley and on the river where the rapids start, which means you’ll fall asleep to the sound of the river. With a maximum spur length of 30 feet and a gravel access road, this campground is not recommended for RVs. Trailers and tent campers can enjoy the ten sites for a per night, per site fee of $14 at this campground, open seasonally (roughly May-September). While there are vault toilets, there is no water so plan to pack in your own. All the spacious, fairly flat sites are equipped with a picnic table and campfire ring with grill. Swimming and kayaking access from the campground are not too great, and the area is recommended for more experienced paddlers.